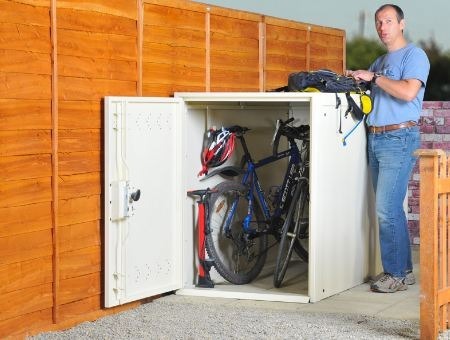 The Twin secure bike locker unit is the perfect way of storing two bikes securely in a discreet manner. 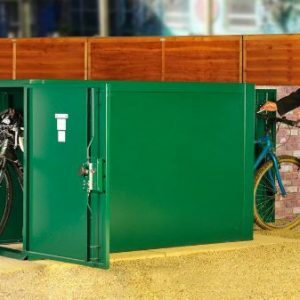 Designed as a space saving storage unit, our 2 bike store is ideal for areas where space is restricted but bike security is important. 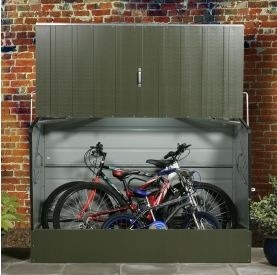 Unlike other bike stores the Twin Bike Locker is accessed from the end so the width of the unit is kept to a minimum – ideal for use down the side of a house or flat. 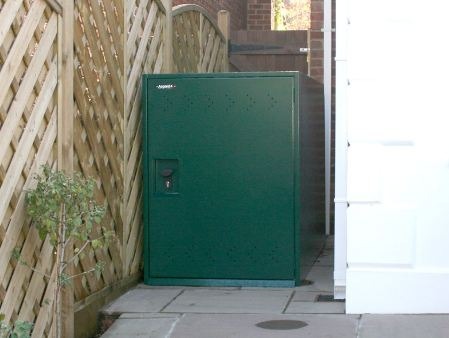 British made product, the Twin Bike Locker is made from strong, thick, galvanised (weather proof) steel. 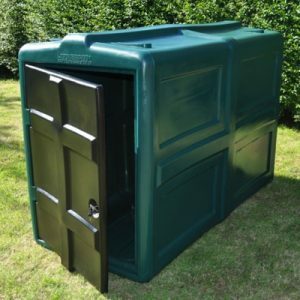 At 99kg in weight (that’s over 15 stone) these are substantial units suitable for public and private use. Perfect for the side of a house or flat – Compact design. Supplied with a 10 Year Warranty – our units are built to last. 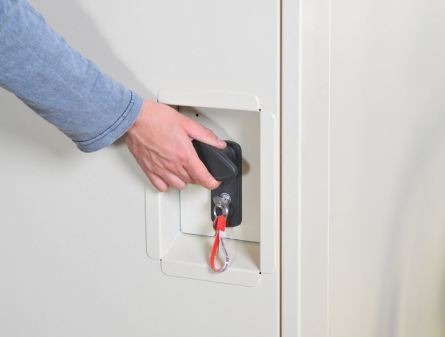 Large single door access making it easy to wheel your bikes in and out. 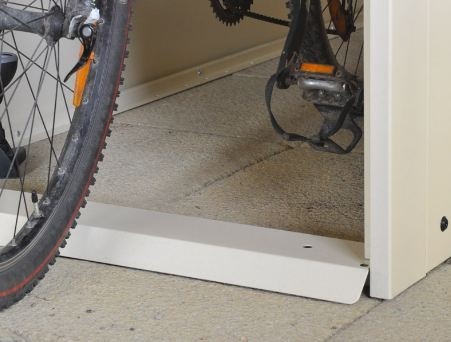 An open floor area means there is no restriction on how you store your bike in.  Bike storage with helmet and kit hooks Includes 2 kit hooks – Hang helmets and bags with your bikes. 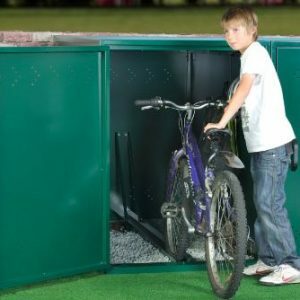 This all-metal secure bike locker is fitted with the same ultra tough 3-point locking system as our top end units. 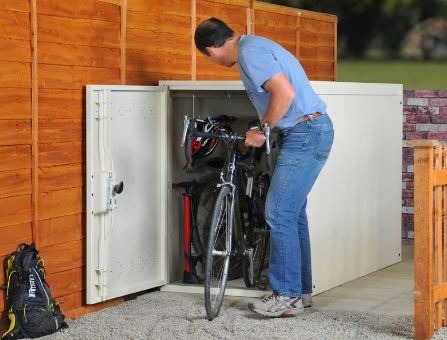 The supplied kit hooks are perfect for storing helmets and clothing inside this metal bike storage unit together with your bike.